John Shuttleworth Yacht Designs (JSYD) is famous for some of the most ingenious yacht, cruiser and racing design in the modern history of seafaring. 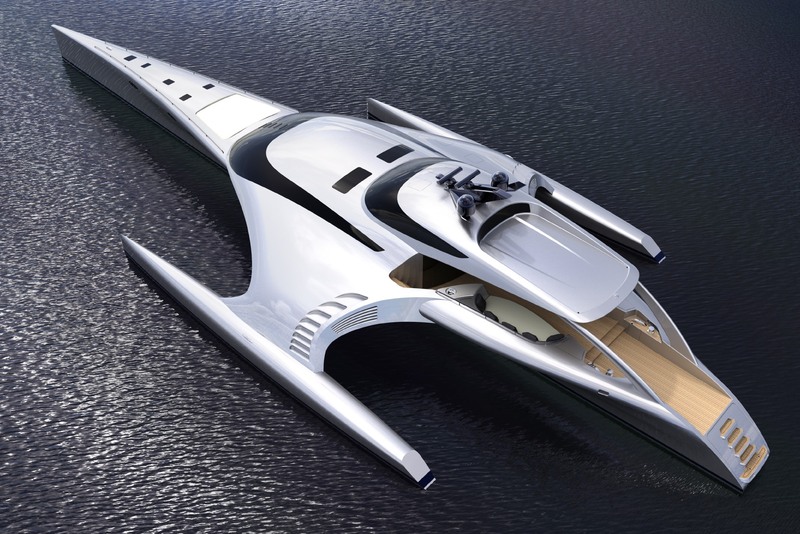 The Superyacht Adastra is no less impressive. 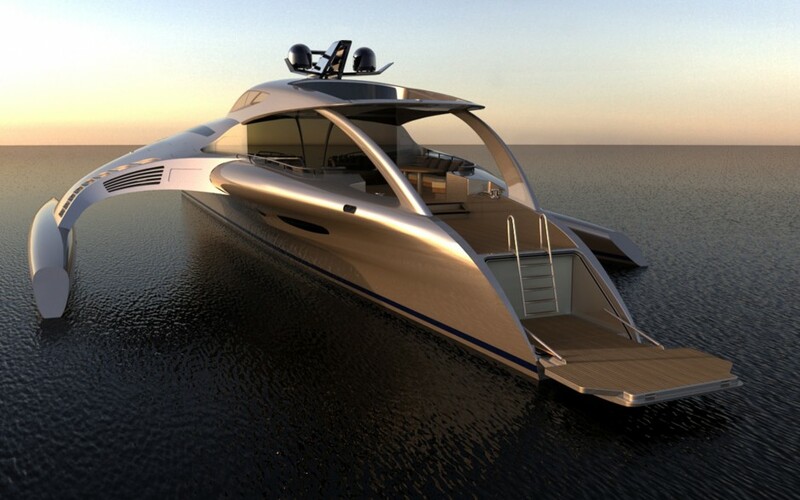 Receiving praise from around the world as the future of boating, the 42.5m Power Trimaran Superyacht is the culmination of more than five years of design iteration with a process that explores the aspects of handsketching to 3D modeling, surface refinement and FEA through a range of programs, with photo-realistic 3D renderings produced in KeyShot. Here's more on this incredible feat of sea cruising elegance. "Adastra is the first luxury super yacht trimaran in the world," says Orion Shuttleworth, lead designer on the Adastra Project. The design process for all of JSYD’s yachts starts with hand sketches, Photoshop renderings and a very basic GA and profile created in AutoCAD to roughly define the theme of the vessel. Maxsurf Pro and Hydromax Pro, specific naval architecture and structural engineering CAD software packages by Formation Design Systems (FormSys) are then used by Shuttleworth to model a preliminary hull shape. Maxsurf Pro offers specialized tools for modeling high quality fair hulls using trimmed NURB surfaces and also includes parametric transformation, on-the-fly hydrostatics, and curvature evaluation. 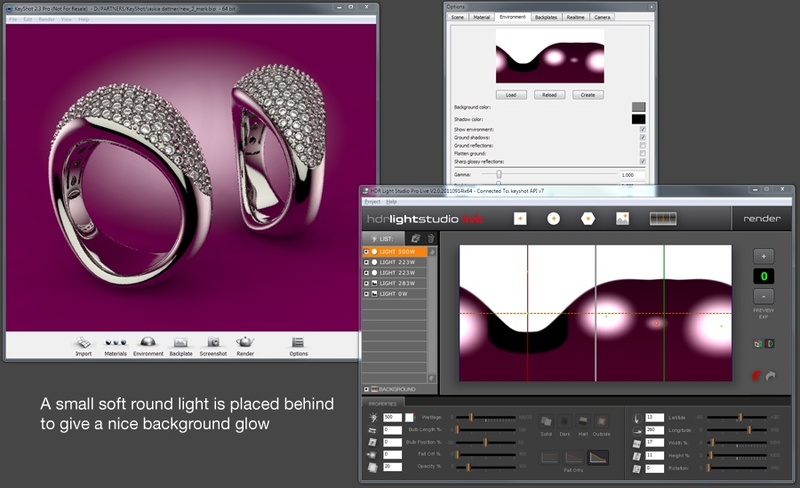 Majenta PLM was contracted by JSYD to provide NX 7.5 because, from a design angle, it offers greater design control, speed, productivity, and throughput, with a set of flexible shape creation, manipulation, and analysis tools for design and styling, according to Orion. 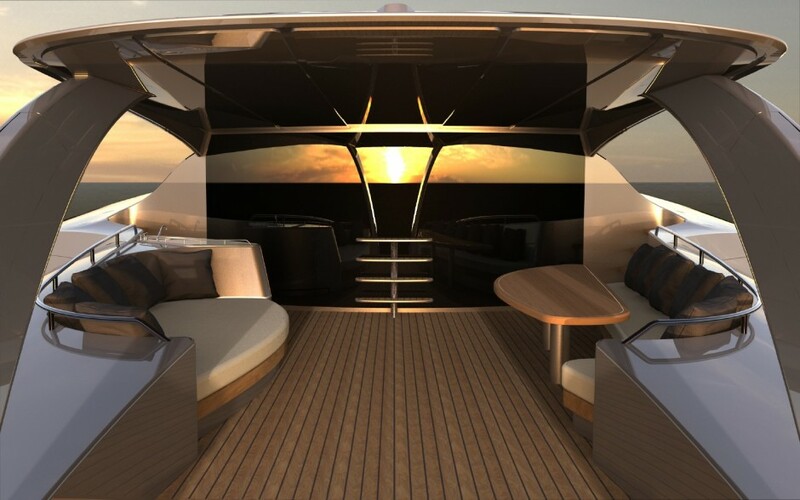 Luxion’s KeyShot rendering software was then used to create photo-real images of Adastra and help JSYD further refine the styling.